For 70 years, PUMA has developed products for the fastest athletes on the planet. The PUMA world extends across Football, Running, Training, Fitness, Basketball, Golf, Motorsports, and design collaborations with icons such as Rihanna. Headquartered in Herzogenaurach, Germany, the PUMA Group creates and distributes footwear, apparel, and accessories in the fashion sportswear industry, through brands PUMA, Cobra Golf and Dobotex - its underwear and socks division based in the Netherlands. Becoming the fastest brand in the world isn’t just a mission statement, it’s the driver for a company culture determined to discover and shape what lies beyond. Implemented solutions: Strategic Planning, Merchandising Planning, Conceptual Assortment Planning (CAP), Line Planning and Product Forecasting, Range Planning & Forecasting, Sales Planning & Forecasting, Demand Netting. Project scope: Global strategy, Global Region & Area Merchandising, BU GM; Go-to-Market & Commercial Processes; Direct-to-Consumer (Retail & Online). Sports lifestyle is a dynamic business. Great things are demanded of the industry in which PUMA has been successfully active for years. Fashion trends and seasonal changes in demand must be anticipated and taken into account at an early stage in the planning process. The challenge is to have the right products on offer and to stock them at the right time to meet that demand instantly. This requires planning of the utmost precision, especially when products have to travel great distances from production site to delivery destination. The Puma Group has always strived to bring the best products to market and to capture the attention of the world through iconic, world-record holding athletes. To continue doing this, while staying on top of its competitors, Puma recognized the need to bring about substantial changes in its processes. A number of recent business acquisitions, each with different processes of their own, further increased the need for standardization. "I was directly involved in this transformation together with our management team. My main responsibility is the program portfolio. We decide which initiatives must be taken every year and I oversee the budgeting process and the prioritization. On top of that I am responsible for business solutions; setting them up to effectively run the scheduled projects and creating the relevant system landscape. In this sense I am directly leading all the initiatives - especially at the front-end of the organization – working together with numerous teams who deal with every aspect of Sales and Marketing in our direct-to-consumer channel." says Kurt Walther, Global IT Director at PUMA, reflecting on how things used to be. Because the planning algorithms also worked offline and were neither departmentally nor internationally integrated, the entire system was non-transparent and inflexible. Combined with the fast pace of the market, Puma kept ending up with shortages and residual stock – exposing the gap between supply and demand. A universal shake-up was initiated, with the aim of bringing in a fully integrated planning process to instill the flexibility the company was missing. Indeed, one of the most fundamental requirements for Puma’s transformation was comprehensive standardization in planning, reporting, and analytics processes, which would allow the global organization to effectively collaborate, from target setting to execution and from the global strategy down to the operations. The integration had to facilitate a flow in which the output of one step would act as input for the next. On the contrary, with the new solution they were searching for, Puma Group wanted to implement a fully integrated approach to planning. After an extensive assessment of the market, PUMA chose BOARD, the unified decision-making platform. The software showed a striking level of technological flexibility, while its implementation partners, SDG consulting AG, showed an impressive level of professional expertise. In a proof of concept, the solution already turned heads with its rapid application development and an unrivaled level of detail and precision. “We selected BOARD because in my opinion, together with its flexibility, it gives us a new approach. We were able to use a lot of the prototype application to define what would work for the business; that for me was definitely an advantage,” stated Damiani. “For us, this challenging journey wasn’t a mere project. Rather, it was a program, a new path towards an end-to-end budgeting, planning, and forecasting process. A transformative journey in which BOARD has supported us in a lot of different steps,” continued Damiani. As Damiani highlights, the integration brought by BOARD is not limited to the integration of planning processes. Within the same all-in-one BI and Enterprise Performance Management environment, BOARD seamlessly combines data control and management, allowing reporting, analytics, and simulation as well, on the same sets of data and with the highest level of flexibility. In terms of managing and controlling the planning process, there are several ways to check the planning status centrally and in real-time. The software clearly shows which countries already completed individual planning steps and the current progress status of other regions. This helps Puma adhere to the schedule and increases the transparency and therefore the stability of the entire planning process. Over 2500 employees from various departments (e.g. merchandise, supply chain and purchasing) now use the BOARD platform to plan the entire wholesale business and the approx. 100,000 SKUs (stock keeping units) handled every six months. The solution implementation was modular – embracing the spirit of agile project management methods. In combination with BOARD's programming-free application development, individual sections of the solution were handed over to production at very early stages. “The end result of the CAP is the creation of our basket: we realize – for example – that for the sports style shoes we need to make 30 styles and 100 different options available. Furthermore, we understand that we need to make a certain amount of money with a specific expected margin,” explains Damiani. Here the phases of execution start, and BOARD again plays a vital role in the process: “We wanted to use just one tool, one solution, not just for the goal setting phases, but also for the execution,” Damiani says. The first stage within the execution phase is the Line Plan. BOARD allows Puma to compare the effective execution of each single product that must be put into production to fulfil the basket coming out from the CAP, i.e. the target set up in the previous phase. The Line Plan deals with the full collection of products that Puma’s Business Units are bringing to the market. Once completed, the following stage is what Damiani defines as “the biggest project we have run in BOARD”: the Range Plan. Combining elements of the buying strategy and budgetary plans, the aim of the Range Plan is to deliver a balance between the merchandisers’ and buyers’ perspectives to provide the customer with the right depth and width of range, ensuring sufficient choice whilst defining the best pricing structure. It also allows management teams to evaluate the effectiveness of their ranges against the original plan and budget. The product range planning element includes the entire merchandise and product planning process. In the worldwide merchandise plan (MP), the financial planning budget is allocated at various detailed levels of the complex product range with the help of bottom-up and top-down planning algorithms. BOARD also collects qualitative market feedback in the form of written comments from all over the world, then evaluates it in a structured way. Then, the schedule is transferred to the conceptual assortment plan (CAP) for the designers and product managers, who allocate the budget to each product line based on price scoring and article/style efficiency. Demand-based planning is done at a national level. Members of the PUMA planning team have all the information they need, in compressed form. They can check general targets from the upstream merchandise planning at any time. Suggested values for new items are calculated based on pre-generated article clusters. This eliminates the need for time-consuming searches and mapping reference articles. The planner just has to rate the difference between the A (better), B (same) or C (worse) clusters to get a reliable suggested value. Users can also view a detailed margin calculation in their local currency. The Recomended Retail Price (RRP) is compared against the cost price – calculated based on the specific import conditions – to determine a margin for that country. This gives the PUMA planning team a precise calculation which they can use to identify high-margin articles for each country and to supply the planned quantities. Little information is available at the first stage of planning, when most of the sales staff are yet to visit their customers. As such, to increase planning accuracy, the plan is regularly updated right up to the monthly rolling forecast, with the target figures continuously adapted to changes in customer demand. BOARD supports this by calculating the forecast values based on the current season's sell-in figures and looking at cluster-based order trends of previous comparison periods. Getting early and continuously updated information from the demand forecasts is crucial to the procurement planning team. Most importantly, this information is used to estimate the necessary production resources and material requirements, which need to be blocked well in advance with the appropriate suppliers. But the continuous forecast updates also mean the company can automatically adapt to any potential changes in the market demand situation. In the course of time, the requirements get more defined and exact orders must be made. To do this, Puma first does a size break-down on the amounts which were until now planned without any size specifications. This is based on the cluster-specific size patterns calculated in the integrated planning solution. As a future step, Puma is going to implement a dedicated Sales planning and forecasting process within BOARD, designed to introduce an additional level of complexity on top of the existing activity: the customer. Even though around 80% of Puma’s sales channel is covered by wholesale, the business wants to pay increased attention to the retail channel, and the sales plan is where the sales team can focus activity at a customer level. “We have built on BOARD what we call a Demand Netting application, which supports us globally from a strategic level down to the operational level,” Damiani highlights. Using up-to-date data such as available stock, pending supplier orders and pending sales orders, the BOARD platform determines the resulting net demand based on the planned gross figures. Based on complex computation algorithms, this is distributed on defined order dates or "order place dates" (OPD). The idea is to keep order placements as even as possible over the available time period, minimizing excess and surplus stock and using production resources in the most efficient way possible. At the end of this step PUMA has the order proposals, which are sent separately according to their category – "with risk" (no existing customer orders) and "no risk" (existing customer orders) – to the relevant operative systems so they can create supplier orders. By centralizing data on a single database, key information is available as early as the planning stage in real time. With this knowledge, the product range and, with it, the procurement volume of individual articles can be reduced at an early stage. Thanks to the tight integration of BOARD with the legacy systems, planning figures can be saved to them automatically, which reduces the number of steps and errors. explains Kurt Walther, IT Manager at PUMA. Alongside integrated planning and analysis, the Puma Group uses BOARD for the marketing budget and to plan marketing campaigns. Despite historically being wholesale focused, Puma’s e-commerce activities are growing rapidly following large amounts of investment in the space. The management team is planning to extend the successful operational model it has implemented with BOARD to both its company-operated stores and the online business. To ensure continued relevance for the worldwide market both offline and online, Puma Group is making the most of social media opportunities, which generate a huge amount of data: “One of our most popular brand ambassadors posted a photo of herself online wearing our shoe and million people saw it and wanted the same product!” recalls Damiani. 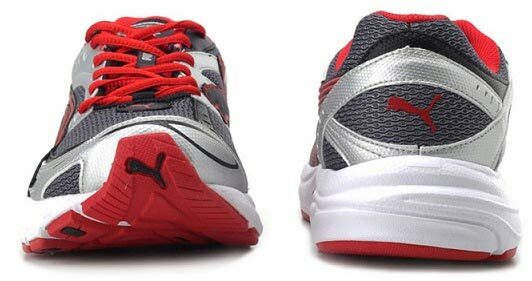 This is a complete change of paradigm and Puma is aware it needs to react fast to market demand. The advanced and predictive analytics offered by BOARD can address this challenge, empowering the organization with the ability to simulate changes in supply or demand within the same platform used for the integrated corporate planning and BI. Puma Group is also in the process of evaluating BOARD for its financial planning, which will complete its strategic and operational transformation by providing a truly unified approach. “Until now we weren't responding quickly enough to trends and changes in demand. The lack of integration of our systems led to ongoing efficiency losses along the entire supply chain. With BOARD we have significantly increased the accuracy and speed of our forecasting, and are now in the position to continuously balance supply and demand. The combination of tools we used to work with would never have given us the level of detail we are enjoying in our planning today. Our BOARD-based Integrated Planning Solution gives us a clear competitive edge,"
concluded Joachim Schück, Director Supply Chain EEA at PUMA. "Our BOARD-based Inte-grated Planning Solution gives us a clear competitive edge."